These past couple of weeks I have been struggling with my creative mojo. I'm not sure where it went but I'm determined to find it!! I just can't seem to please myself with any of my creations. Whether it's colouring or layouts, it's been kind of tough. 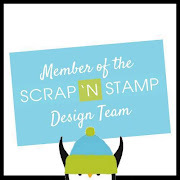 So, I pulled out a new stamp/die set from Honey Bee Stamps. 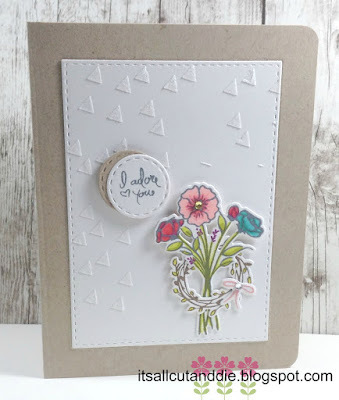 I used the Not Too Shabby stamp and die bundle, which happens to be on sale this month!! It's a super sweet set. BACK TO THE PRESENT: I started by creating a background panel with white cardstock cut with Simon Says Stamp Stitched Rectangles. 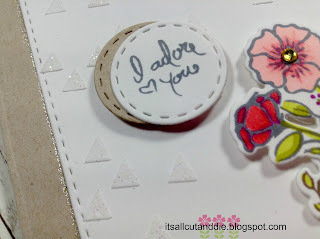 Then I took out some white embossing paste. I thought the lid would be stuck on since I haven't used it in a VERY LONG TIME!! I used a small triangle stencil to add a bit of dimension to one side of the panel. To spruce it up a bit, I sprinkled some fine iridescent glitter over the paste while it was still wet. I stamped and die cut the bouquet image and coloured it with alcohol markers. 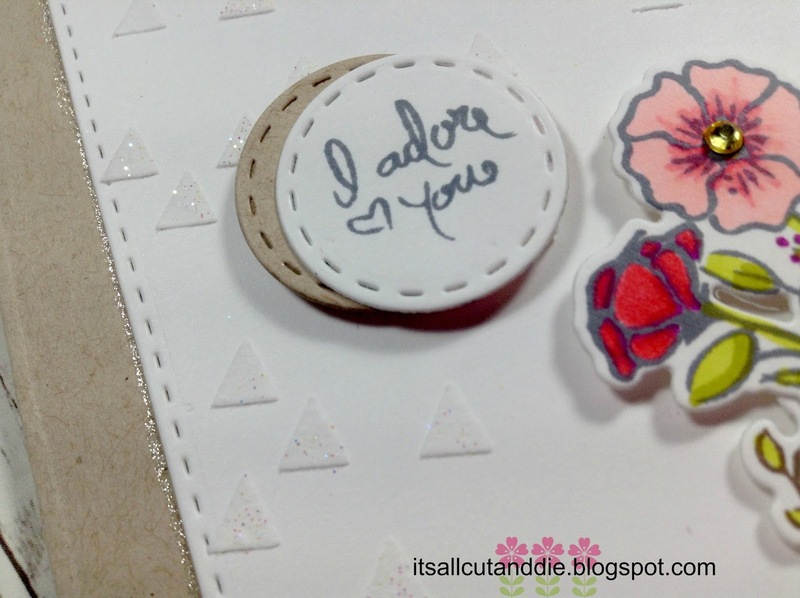 I also stamped, coloured and die cut the small wreath and bow image. I placed everything in the bottom right corner of my white, embossed panel. And in true Laurie fashion, I didn't think about the sentiment. This set has very small sentiment so that worked in my favour. I die cut a circle that would fit the sentiment, but it just blended into the background. So I die cut another one out of kraft cardstock and layered them together to make it stand out a bit better. A fairly clean and simple design and I'm happy with the way it turned out. Hopefully, I can keep this going, hahaha! Hi everyone!! I just wanted to quickly pop in to tell you that I've filmed my FIRST YOU TUBE VIDEO!!! OMG!!! Well, on the technical side, there is a lot to learn!! My first video is basically not edited at all. What I filmed is what I published...with the addition of a little music and some titles. I have no idea how to slice, cut, fast forward etc etc. But I will learn, hopefully. I will warn you, there are no techniques here. 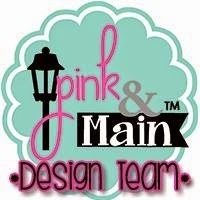 No stamping, colouring or die cutting. What may you ask will I be doing??? Fussy cutting of course. And babbling... By the way, I had no idea I sounded like that!!! So strange to listen to my voice. 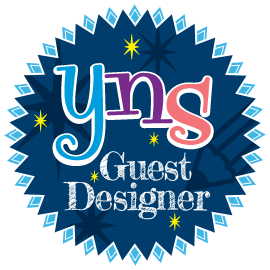 Anyway, here's a link if you're so inclined to have a look!! Thank you in advance for watching!! Hello everyone!! I'm here to show you another card I created during the 30 Day Coloring Challenge hosted by Kathy Racoosin from The Daily Marker. I have to admit I have missed, I think, two days. Better than the last challenge, though!! Today's inspiration/idea came from Julia from Just One More Card. I have never tried this technique before and I have decided, I absolutely love it!! It's colouring on kraft cardstock using alcohol based markers. I picked up some fairly inexpensive alcohol markers at Michaels. The stamp set I chose was Lacey Layers from WPlus9. I love Dawn's products so much!! Anyway, on to the coloring! 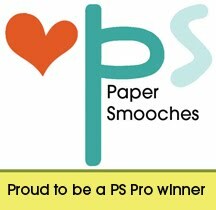 I first found a scrap of kraft cardstock, which happened to be Neenah Desert Storm 80lb. I stamped a few images and started to experiment with a few colors. The die cut will come into play in a bit! I decided on the green and pink and the orange and turquoise. I then stamped by panel and started colouring. I alternated the colors on each layer. After I finished the panel, and of course not planning where the sentiment would be, that's when I die cut the above layer out. 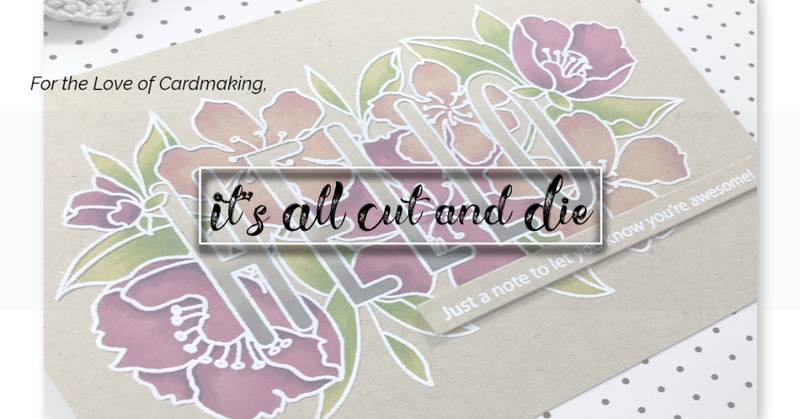 I hadn't done any inlaid die cutting in awhile so I thought this would be a cool way for the sentiment to be noticeable on the card. 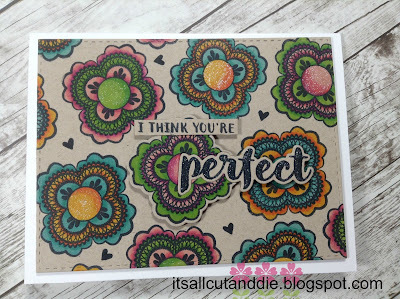 I stamped the "perfect" word greeting from the That Is All stamp set and cut it out with the co-ordinating die. I also positioned the die in the already cut layer and ran that through my Big Shot. I then, simply flipped the image over and adhered the two pieces together with Scotch Tape. I foam mounted the sentiment on top of my panel, then stamped the "I think you're" onto a scrap of white cardstock, which I didn't like so ended up using more kraft. 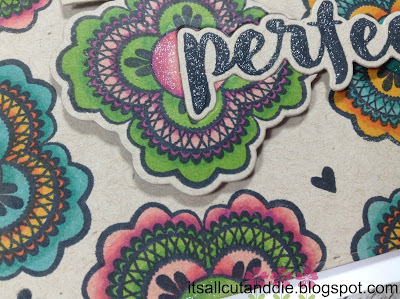 I added some sparkle using my Crafter's Companion Glitter pens to the centres of each lacey layer and to the "perfect". And here is the finished card!!! I hope you enjoyed! And I hope whoever is involved in this colouring challenge is loving it like I am! !